Every adventure creates a story and nothing makes us more happy than being able to share these tales and experiences with others. If you love adventure, travel or just getting out on the trail then this is the place for you. Across our ‘H+I Stories’ you’ll find travel inspiration and advice to help you towards your next mountain bike adventure. We also have great tips to improve your bike handling, maintenance skills and fitness; all from the minds of our outstanding team of international guiding experts. We hope you enjoy delving into each story and look forward to hearing any advice comments you might have too. When travelling the world you are going to come across unexpected rock gardens, but stay calm, and let H+I Adventures show you how. Ride with Scotty Laughland on his favourite trails across Scotland! In this episode of the #MTBMinute Chris will show you how to singlespeed your bike in order to get you home with no further dramas. Ross caught up with our local guide Chris Gibbs in his home of Aviemore, for some riding and sub-zero barbecuing! Our latest #MTBminute video shows you how to unpack your bike after travel, to get you ready to ride as quickly as possible! With 2018 racing to a close it’s time to reflect on another somewhat frantic but fantastic season of two wheeled adventures. H+I Adventures have crafted a new series of #MTBminute videos, in this latest instalment they are talking on the ‘How to master a river crossing’…. Shares Euan’s ultimate Yeti SB5.5 build with him in our latest video – just for fun! In this episode of the #MTBminute Chris Gibbs, H+I Adventures lead guide in Scotland, is back with his top tips for how to replace gear cable. Join us as we head back to BC and take Scotty Laughland along to sample some of BC’s greatest hits for our ‘British Columbia in photos’ feature. Bikerafting adventure! Join guest blogger Catriona Sutherland on a Bikerafting expedition on the north west coast of the Scottish Highlands. Join us for our ‘Yukon in photos’ feature as we travel to the Yukon and show Scotty Laughland the MTB wonders that lay in Canada’s north western territory. Watch the new video documentary on our guide RJ Ripper Magar, Nepali mountain bike legend! Learn how to master the attack position in our #MTBminute video. Learn how to bleed Shimano brakes in our first #MTBminute video. See all the photos from the 3rd International Yeti Tribe Gathering in New Zealand! Our Nepali guide RJ ‘Ripper’ Magar has been nominated one of National Geographic’s 2018 Adventurers of the Year! Guest blogger Catriona Sutherland takes us along on her mountain bike journey into the wild and windy depths of the Mustang Valley, Nepal. Take a look at Euan’s new Yeti SB5 build as it prepares for its first outing to on the Yeti Tribe in New Zealand, early 2018…. Trail hunting around Kinlochewe with Scott Laughland and Greg Williamson – in winter! We caught up with old friend Hans Rey to show him our local Inverness trails – in the winter! Join us on our maiden Mountain bike tour Norway voyage as our pioneering clients get to grips with the fjord’s trail offerings. We’ve created this simple glossary to help you understand all the jargon mountain bikers use to describe different trail features. Read all about our trip to Spain this year to film our sensory adventure in Andalucía! We’re celebrating 10 years of mountain bike adventures this year! Read our 5 top tips for nailing your first mountain bike tour! Photography Tips To Take Your Holiday Snaps Up a Level! Why do I need a 20 Litre Backpack? We join IMBA’s ‘Take Care of Your Trails’ Day and head for the Tea Hut Climb in Torridon. Join us as we take a look back on a very successful year of mountain bike tours in 2016. H+I Adventures riding FOX suspension! Read director Euan’s tour diary of his recent mountain biking tour in Ecuador: volcanoes, haciendas, rodeos and all! Diary of a girls’ mountain biking adventure in Slovenia! Join us in January 2017 for the second International Yeti Tribe Gathering in Chile + Patagonia! Read the first reviews of our new adventure in New Zealand! What’s it like to lead a trip through wonderful Andalucía? Where’s your bike-happy place? Southern Spain, perhaps? For the love of bike! In our latest blog, our guide Chris Gibbs talks about his new purchase, the Yeti SB5 and the love of bike. Excellent rider reviews + photos from our new adventure in Slovenia! No such thing as bad weather, only the wrong clothes…! We’re going back to basics in our mountain biking skills series, looking at riding techniques and how to tackle them. 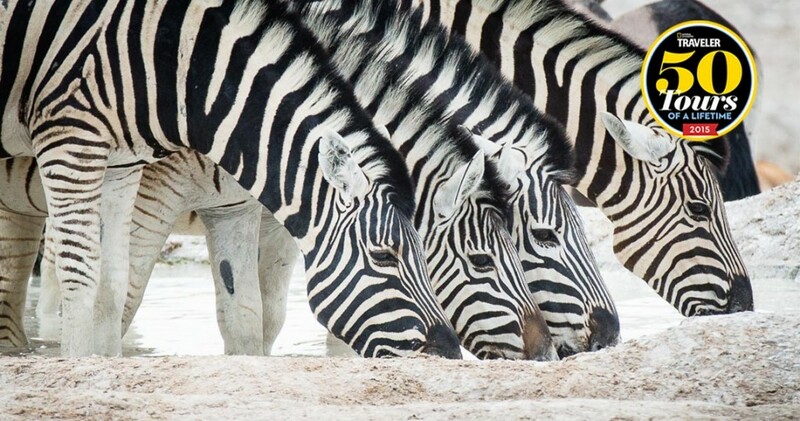 There were big celebrations at H+I Adventures recently when our new mountain biking safari in Namibia was awarded one of National Geographic Traveler magazine’s ’50 Tours of a Lifetime 2015′! If you’re looking into mountain biking adventures in Europe this year, we have a whole buffet of incredible choices to whet your appetite for adventure! New H+I Adventures riding tops in! 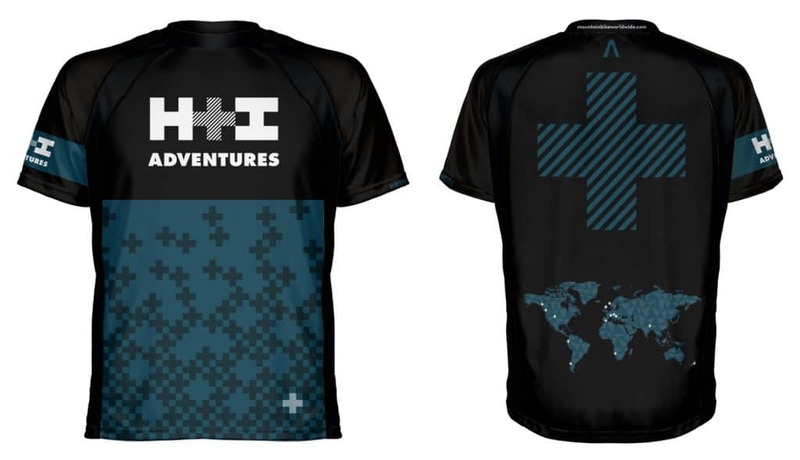 Our brand new H+I Adventures riding tops are now available to purchase along with your mountain biking adventure with us! We’re delighted to announce our new partnership with Global Rescue to provide all riders on our worldwide mountain biking adventures with the best medical advisory, and medical and security evacuation services available. New mountain biking adventure in Slovenia! 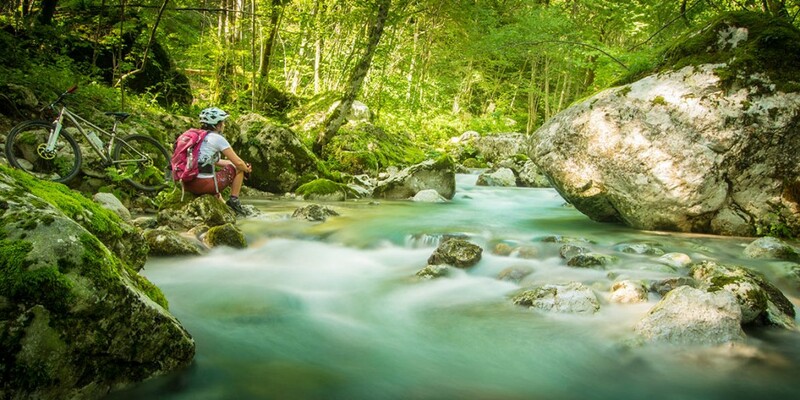 Meet your mountain bike guide in Slovenia! Mountain biking in the Yukon: it’s not all about the trails! 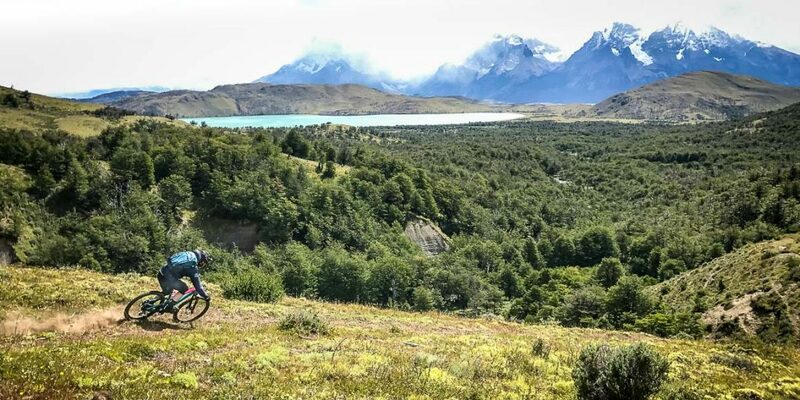 When you come on one of our mountain biking adventures around the world, not only are you there to have the time of your life, but you’re also (whether you know it or not!) shaping the future of our tours. Earlier this month (March) Outside Magazine in the United States voted Scotland as the Best Biking Destination 2014, and showcased our coast-to-coast Scotland mountain biking adventure in the award. New mountain biking holiday in Spain: ultimate Sierra Nevada! It’s been hard work: riding superb Spanish trails; eating jamón, chorizo, luscious tomatoes, and freshly-baked bread; drinking smooth local wines; and sampling the best accommodation in Andalucía, but we’ve struggled through to bring you this unbelievable new mountain biking holiday in Spain. You’re welcome. Our Ecuadorian mountain biking adventure starts in Quito, in the heart of the Andes at 2,800m above sea level. Waiting for a new group to arrive is, in itself, part of the tour for me because it gives me the chance to pause and re-discover the beauty of Quito, which was declared by UNESCO as the first World Heritage Site. Scotland voted Best Biking Destination in Outside Travel Awards! 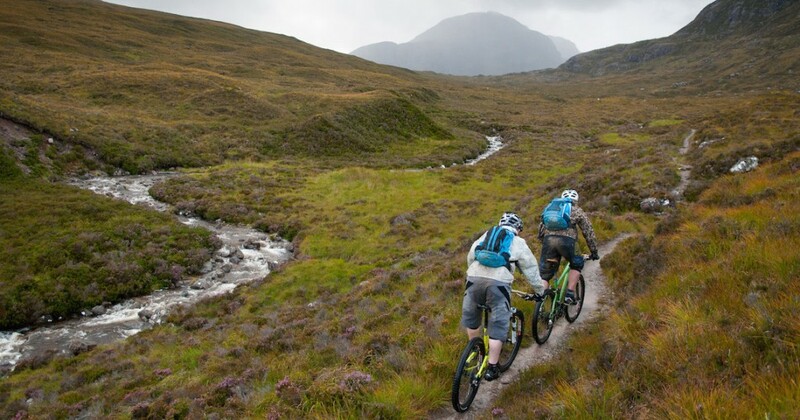 Big news: Scotland has been voted Best Biking Destination in the Outside Travel Awards 2014! And our coast-to-coast Scotland mountain biking adventure is showcased in the award! Our fantastic new mountain biking safari in Namibia is an excellent opportunity for you to get to know this beautiful country, its splendid wildlife, diverse landscapes and friendly people. But first of all, you should meet your mountain bike guide in Namibia, Leander. Welcome to the team Leander! New mountain biking safari in Namibia! Experience our new mountain biking safari in Namibia, Africa! Forget being stuck in a jeep for 12 days; this is real, hands-on safari on your bike! Read our exclusive interview with Evoc founder, Holger Feist. Here at H+I Adventures we’re absolutely delighted to announce the start of a fantastic partnership with Yeti Cycles, makers of some of the finest mountain bikes in the world! Kathmandu.One of the most energetic, colourful, chaotic, and culturally-rich cities in the world. Who would have thought, then, that you could find such glorious trails in the hills only one hour from the frenzy of the city centre? In the final part of our key mountain bike skills series, we’ve put together a short video to show you how to bunny-hop. Part two of our mountain bike skills blog will show you how to lift your rear wheel, a useful skill to save puncturing your rear tyre, potentially destroying the wheel. Our mountain bike guides share their top 5 kit items for successful, safe and enjoyable mountain bike tours around the world. Guided vs self-guided mountain bike tours – what’s best? Hans Rey, Steve Peat and Danny MacAskill Scotland video! We’ve just spent five days riding the west coast of Scotland with downhill mountain bike world champion Steve Peat and trials stars Hans Rey and Danny MacAskill. Read on to find out more.